There’s a reason why Virginia Beach is considered a resort city: the city gives you those beach opportunities that make beach living what it is: 35 miles of available for fun (6 miles just within the city), you can bet people come here to have fun. With the boardwalk, biking and walking trails, sand sculpting competitions and the East Coast Surfing Championship, residents and tourists have access to some of the best beaches on the east coast, and they are pet-friendly for your pups. And since the area has a lower cost of living and lower rental prices than most cities, your apartment search will offer you some cheap apartments close to the ocean, so that every break is hittable. Chesapeake Beach is one of the favorite beachside neighborhoods in the region. It has a mellow atmosphere with a mix of young families and singles. Compared to other neighborhoods along the ocean, Chesapeake is average in price for studio apartments and homes for rent. If you are looking to cut costs even more, try searching all bills paid apartments or utilities included. If there is an area fit for families in the area, it would have to be Hilltop. While it is only about five miles away from the beach, that’s enough of a buffer for the touristic tendencies. The neighborhoods of Hilltop north of Highway 58 are somewhat isolated when it comes to shopping, thus makes it great for families wishing for a bit of a buffer from louder areas. For renters choosing between great apartments for rent and houses for rent, you’ll be choosing whether to live in this area, or closer to Highway 58. Most shopping areas such as The Shops At Hilltop, grocery stores such as Whole Foods, and other shopping areas all revolve around 58, so convenience is there as well as more apartment complexes. Meanwhile, the city’s Public School District has received high ratings and reviews, so Hilltop covers many areas of living for residents. The city’s largest employer is the U.S. Navy Naval Air Station Oceana and acts as one of the main attractors for new residents. It’s only ten miles from the beach, so whether you live on base or off, you will probably be pretty close. If you are moving to the area and are looking for apartments online, your best bet to find an apartment will be by using either an apartment finder or apartment guide. Of course, you can always live in the Town Center so that you can be among all of its great restaurants and nightlife, and always be walking distance from the ocean. Living is a bit more expensive for the area, but if you want fun it’s the place to go. This is your best chance to find luxury apartments for those that want the finer things in life. 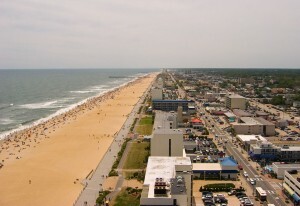 RentLingo is your trusted apartment finder in Virginia Beach. We hire local experts, such as former property managers and locators to anonymously tour and consistently rate and review every available place. They share their honest and unbiased perspective with you, so you know how every rental ranks in the area. Because our experts tour every property, we can offer consistent apartment ratings across every region. So unlike finding a Backpage or Craigslist rental, you can trust these apartments are verified and trustworthy: whether it's a cheap studio or a one bedroom with all utilities paid all the way up to a nice house for rent or a luxury condo.